Stratis™ GPc is our top of the line option in terms of Performance Cruising Sails. The combination of Twaron and Vectran Yarns, with layers of Taffeta laminated on both sides of the sail, offers you the ultimate combination of strength, durability and resistance to stretch. The Cruise Laminate range of sailcloths available on the market today are a far superior option to those available just a few years ago. 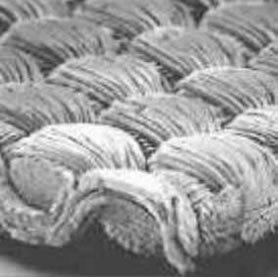 The developments in lamination techniques and yarn content have produced a cloth that offers an excellent compromise between performance, longevity and value for money. CL Mylar is a very popular choice for performance cruising boats up to about 50’, while CL Spectra is more popular on larger boats where long term durability is desired. Dacron is still the most popular choice for cruising sails on boats up to 40’. It offers excellent value for money and long term durability, while still holding a nice sail shape. 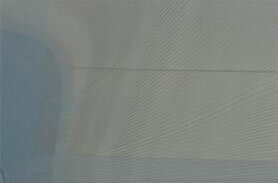 This is a fill-oriented weave, in which the warp fibres (running from the upper left to the lower right) are woven over and under the straight fill yarns. In this construction, all of the crimp is in the warp and stretch in the fill direction is minimized.